We like: Good cleaning performance. Powerful motor. Lightweight. Conservative design. Instant hand tool use. Not so good: Small water tank. Verdict: There is not much to criticise about the Bissell CleanView ProHeat: it makes an excellent (and often cheaper) alternative to the Vax Dual V. Okay, it does not have all the features, such as powered hand tools, but the Bissell is a solid no-nonsense performer that has been well designed and thoughtfully engineered. The Bissell CleanView ProHeat sits in the mid-to-high range of the carpet cleaner market in terms of price and is an excellent alternative to the popular Vax carpet cleaner range. Typically on offer between £150-£200 the ProHeat’s nearest competitors are the Vax Rapide Ultra 2 (which is cheaper) and the Vax Dual V (more expensive retail price), but in terms of performance then the Bissell’s nearest competitor is the Vax Dual V. So how does it compare? Both the Vax Dual V and Bissell CleanView ProHeat offer “heated cleaning” but the methods are different. In the Vax, hot air is applied to the carpet whereas the Bissell actually heats (or warms) the water to a set temperature and then keeps this constant throughout cleaning; this ensures that the cleaning solution mix is always at the optimal temperature for cleaning. 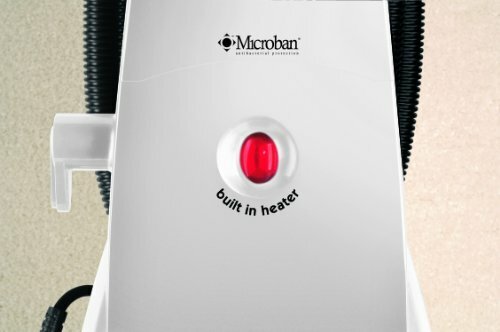 In terms of motor rating (the more power means better water suction and therefore quicker drying times) the CleanView ProHeat has a high power 1400 watt motor which is comparable to the 1350 watt motor found in the Vax Dual V.
Where the Dual V does have an edge is when it comes to the cleaning tool, as the Vax carpet cleaner features a “powered” brush that works the fibres in the carpet or upholstery. The Bissell doesn’t but it does have an advantage over the Dual V in terms of ease of use: The CleanView ProHeat has a dial on the carpet cleaner that allows quick and easy switching between floor and hand tool modes. Other models of carpet cleaner require you to attach the accessory tools to the main unit. Another area where the Vax and Bissell models differ is when it comes to the clean and dirty water tanks. The Vax Dual V features more traditional separate tanks for the clean and dirty water. The Bissell CleanView ProHeat on the other hand has a clever “tank in tank” system so when the cleaner water is used, the dirty water tank (located in the clean water) expands and fills up, taking the space of the clean water. Does this give you any benefit? Not that we can see, in fact the smaller dual tank system (compared to individual tanks) means more trips to the sink for refills and emptying. However, a thoughtful feature on the Bissell is the inbuilt shampoo measuring cup which ensures no guessing when it comes to filling. In terms of ease of use, despite its solid and sturdy look, the Bissell CleanView ProHeat is actually a light weight carpet cleaner; at 8.9kg it is lighter than the Vax Dual V (11.5 kg) and only just heavier than the Vax 6131T (8 kg). One final consideration when comparing models is the guarantee offered. The Bissell CleanView ProHeat comes complete with a generous 2 year guarantee; however, the Vax Dual V has a very impressive 6 year warranty. More technical details for this carpet cleaner can be found on the Bissell website, and you can compare this model to others in the Bissell carpet cleaner range here. I purchased a Bissell cleaner because I wanted something different from a Vax. Very impressed so far. Also think it looks better. Would recommend. After seeing the cleaner in action in-store, I decided it had all I wanted in a cleaner, the size, manoeuvrability is good and the price was a bonus. Would recommend this to anyone who wants clean carpets with the minimum of hassle.